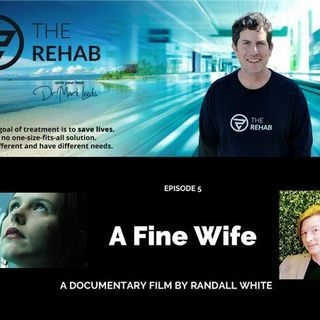 This episode of The Rehab features an interview with film maker Randall White. Randall is both producer and director of this soon-to-be-released documentary that follows his wife, Michelle, and her struggle with mental illness and drug addiction. The film shows the destructive effects of both mental illness and addiction on herself and on her family. Michelle was a nurse, a mother and a wife. She left behind a note explaining that she did not want to continue to be a destructive force in her ... See More daughter's life. Randall is producing this film with the hope that others suffering with mental illness and addiction will seek professional help and medical treatment. He also wants his audience to understand that addiction and other mental illnesses, such as bipolar disorder, are medical conditions that must be taken as seriously as any physical illness. Randall Scott White is an entrepreneur, musician, father, and budding filmmaker. He is currently working on a documentary called "A Fine Wife", which tells the story of his family's tragic struggle with mental illness, bipolar disorder, depression, mania, and suicide.